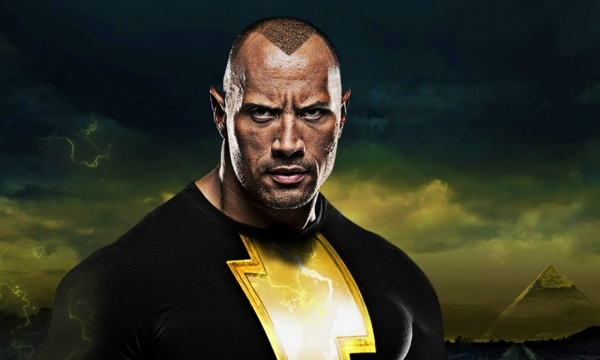 It’s been years since Dwayne Johnson was announced to have signed up to play anti-hero Black Adam in the DC Extended Universe, and yet we’ve still to see the megastar turn up in the franchise. Originally, the actor was set to play the villainous role in Shazam, but it’s since been revealed that this won’t be the case. Instead, a solo film is in the works for the character, though it doesn’t seem like that’s being hurried into production. That’s surprising, too, as you’d think Warner Bros. would be beyond eager to get Johnson into the DCEU. Often referred to as ‘franchise viagra,’ the actor is one of the most charismatic and enjoyable talents in Hollywood today. Obviously, he can’t save the entire cinematic universe alone – or maybe he can, actually – but he’ll definitely go a long way in winning back fans who’ve abandoned it in recent times due to films like Justice League. Thankfully, it does sound like the wheels are at least starting to turn on Black Adam, even if it may still be a ways away. While speaking to Yahoo to promote his new effort Rampage, Johnson said that the script is now complete and that he’s very happy with it. Not only that, but should everything go according to plan, production could get underway next year. While Johnson’s words are encouraging, any DCEU fan can tell you that when it comes to this particular franchise, it’s best to adopt the motto of “we’ll believe it when we see it.” Warner Bros. has a bad habit of announcing projects for their cinematic universe that never get off the ground. There’s so much littering the slate at the moment and many of the titles said to be on the way have seemingly stalled. That doesn’t mean a similar fate will befall Black Adam, but until a tangible step forward has been taken, we wouldn’t get too excited. That being said, it’s nice to know the the studio has an actor like Dwayne Johnson on board and we’re looking forward to seeing what he ends up bringing to the franchise. Will he able to single-handedly save it from collapsing should the next few outings continue to fail? Probably not, but if one thing’s for certain, it’s that it can never hurt to have The Rock on your side.